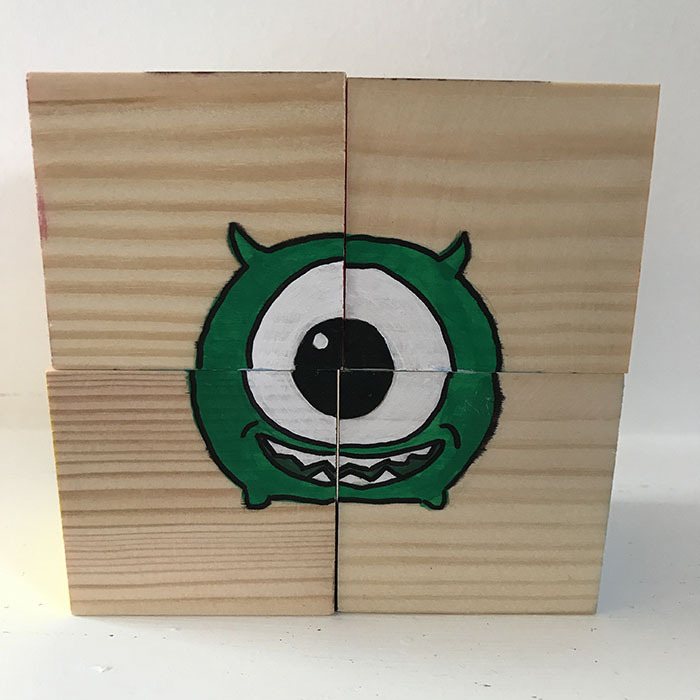 When I was a lot younger I had these block puzzles. I absolutely loved them; they were probably one of my favourite toys. They are now sitting in my attic waiting for my niece. This brings us in a round about way to an email I got the other week from Disney. 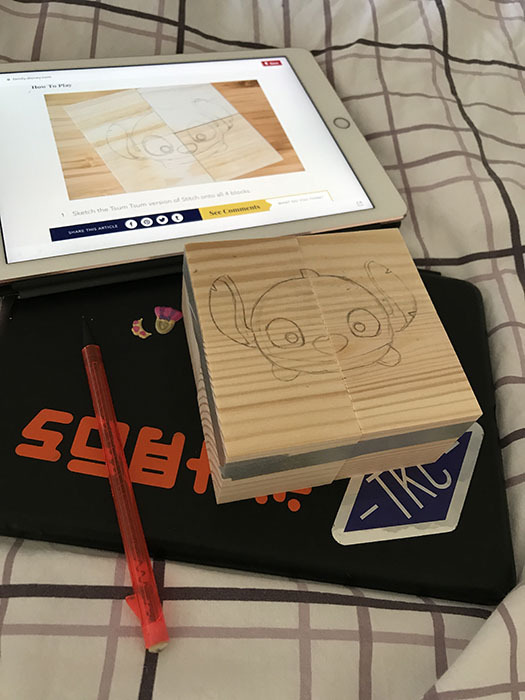 In it it had these blocks with a painted Tsum Tsum Stitch on it. 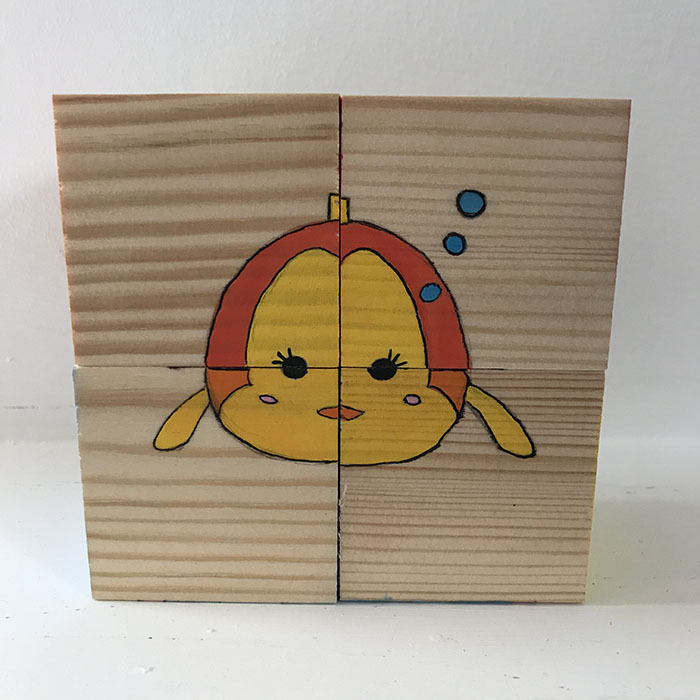 They had only done one picture, but it reminded me of my puzzles, which made me want to make a Disney Tsum Tsum block puzzle for BB. Make sure you follow my activity board on Pinterest for more ideas. Don’t forget to save the pin for later. 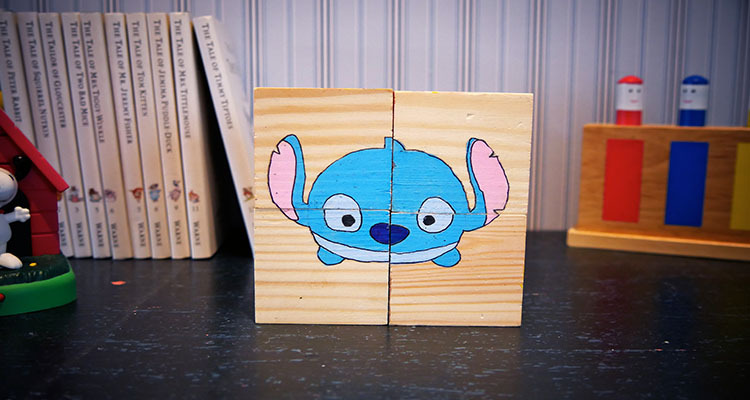 I really liked the idea of doing a Disney Tsum Tsum block puzzle so googled some images. I ended up doing, Nick from Zootopia, Cleo from Pinocchio, Stitch, and Mike Wazowski. 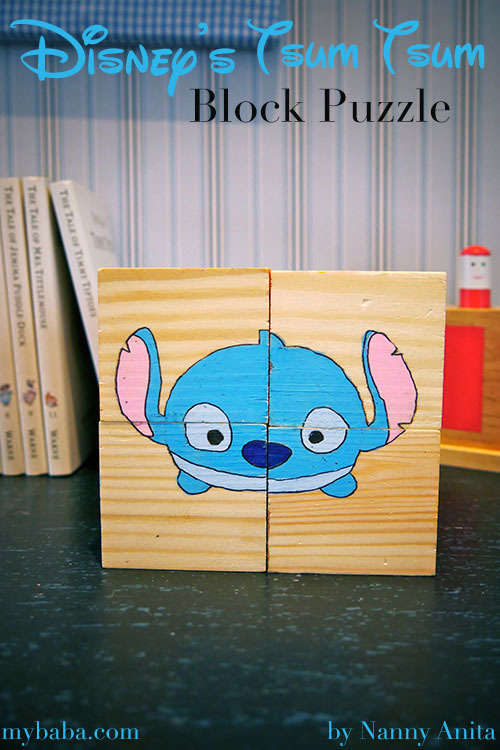 Lightly sketch your picture across your blocks. 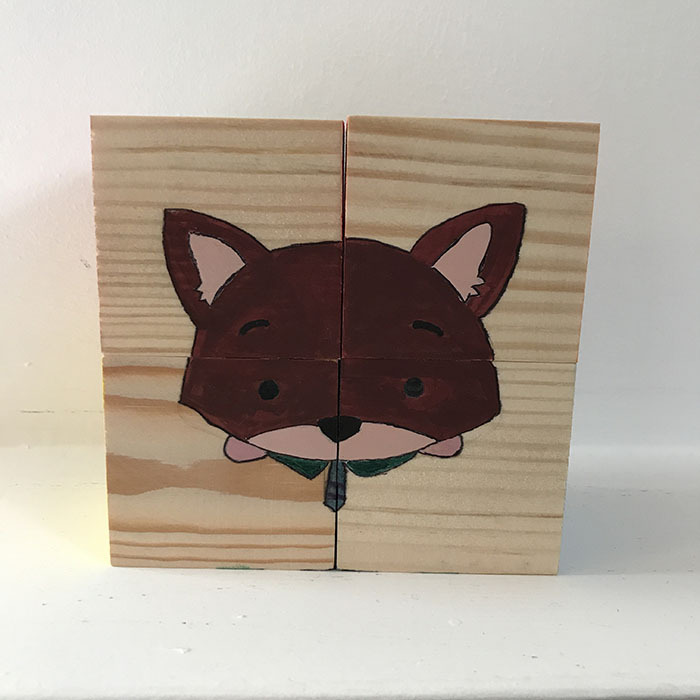 I only did this as a four-piece block puzzle. To make it slightly easier I taped them together so that they didn’t move while drawing them. When they are all sketched out paint them in with a thin paint brush. If you decided to draw around the outlines in pen make sure that pen doesn’t bleed into the wood or it will ruin your work. As you may have realised I only did 4 pictures. Which means I had two spare sides. On those sides I just painted them a solid colour. 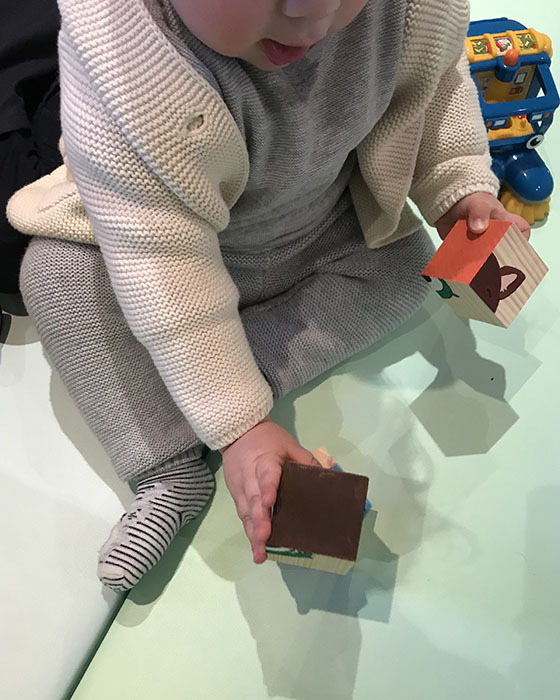 I know that BB is still too young to play with them as a block puzzle, but he likes to stack them up. Plus they make a lovely decoration on his chest of draws when they aren’t being used. If you liked these Disney Tsum Tsum block puzzles be sure to check out my enchanted roses.